Watch the colourful narrow boats at nearby Limehouse Basin, and transport yourself back in time at the Museum of London Docklands. Zoom forward to the city’s skyscrapers by taking the 10-minute walk to Canary Wharf. You’ll be in easy reach of market stalls and hipster bars. At the end of a busy day, chill out and watch TV in the communal lounge with like-minded travellers. 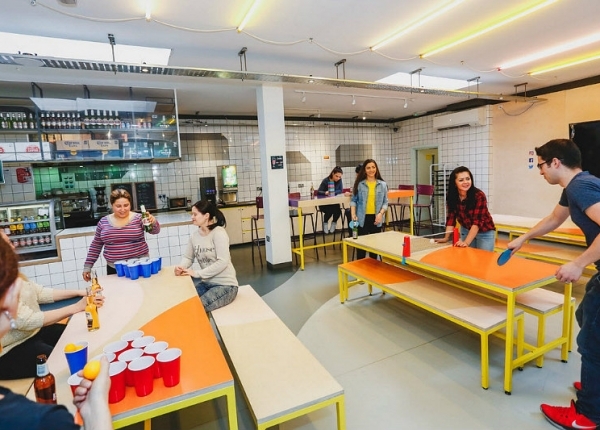 You’ll find most of our rooms have private bathrooms, and you can choose anything from a twin or double to a bunk in 12-bedded dorm, perfect for making friends. Enjoy all that East London has to offer from our hotel in Limehouse. 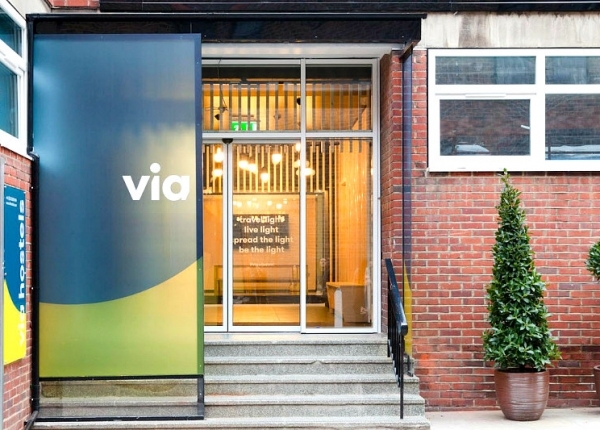 Here at Via Limehouse we like to make you feel welcome with a sociable lounge, free WiFi and friendly multi-lingual staff to help you make the most of your stay. 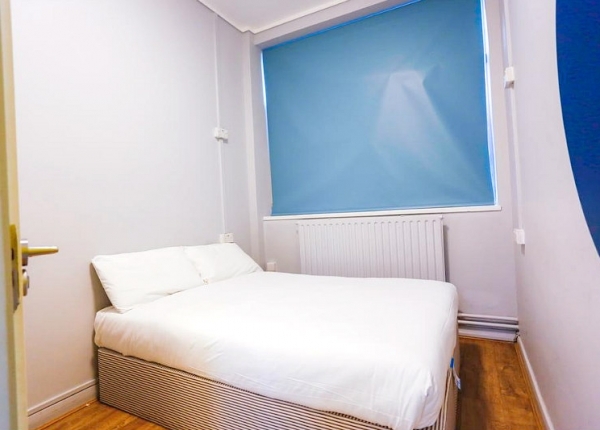 Our location in Zone 2 just a short stroll from Limehouse DLR station makes it easy for our guests to get around London. It’s just a few minutes from here to Bank Station, which is your gateway to The City, and Tower Gateway right by the Tower of London. You can walk to Canary Wharf from our hostel, to marvel at the skyscrapers and this bustling business district. It’s easy to get to the O2 Arena for a show too. Leave your bag in the free luggage storage or take advantage of our cheap lockers to stash your stuff while you head out and enjoy London. You’ll love exploring East London’s most interesting areas, from Columbia Road Market to Brick Lane and Shoreditch. The rest of the capital is easy to get around too. At the end of a busy day, chill out and watch TV in the communal lounge with like-minded travellers. 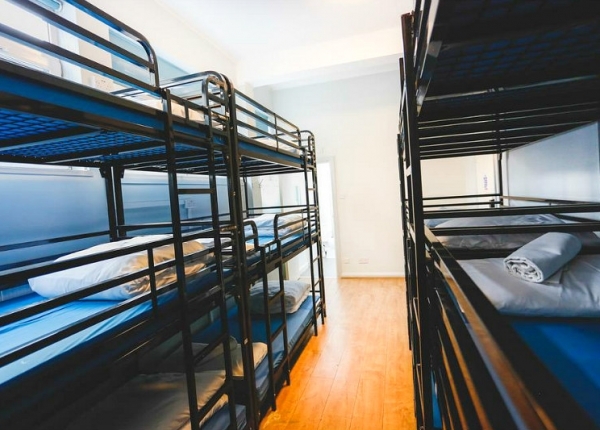 You’ll find most of our rooms have private bathrooms, and you can choose anything from a twin or double just for the two of you to a bunk in 12-bedded dorm, perfect for making friends. We offer exclusive discounted prices when you book now so reserve your bed today!